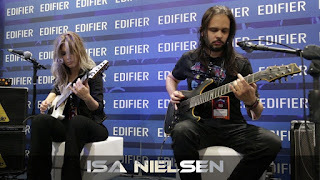 Me and Thiago Oliveira playing my music Synthetic Inoxia at the Edifier Brasil stand during the Music Show Experience fair. Video: Rafael Ruedas Check out my shop ! !